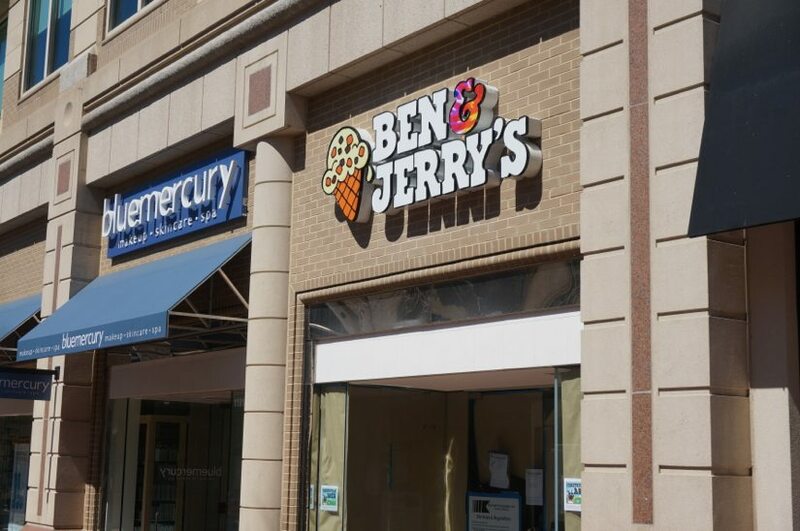 Reston Town Center’s Ben & Jerry’s is now open in a new location. The owners of the local franchise of the Vermont-based ice cream company are now at 11916 Market St. The store was formerly at 11928 Market, about five doors down, but closed last fall to make way for a Madewell store. Reston Ben & Jerry’s owner Cliff Hallock said there will be a special grand re-opening event on Friday, May 13. There will be “Buy One, Get One Free” on all different sized ice cream cups and cones all day long. “It will give our customers a great chance to try our new flavors: Brownie Batter and Bourbon Brown Butter,” said Hallock. Ben & Jerry’s is open 11 a.m. to 10 p.m. weekdays; 11 a.m. to 11 p.m. weekends; and 11 a.m. to 10 p.m. Sundays.